A French couple who turned their attic into a photo studio during the First World War have provided Australians with a rich lithographic record of diggers on the Western Front. Louis and Antoinette Thuillier’s photo archive was discovered in 2010 and some of it will be on display at the Sir John Monash Centre. The collection includes nearly 4,000 lithographs or glass-plate negatives that show Australian, British, French, American and Indian soldiers, along with Chinese labour corps and French civilians. It was amassed as the Thuilliers photographed people passing through their small village of Vignacourt, an Allied staging point, casualty clearing station and recreation area for troops on the Somme. The high-resolution photos were taken on glass, printed with an oil-and-water technique on to postcards, and then mailed home so soldiers could maintain a link with their loved ones in Australia. The images show many different aspects of the Western Front, from military life to friendships between soldiers and local residents. Many are informal and relaxed, showing men trying to enjoy themselves away from the front line and sadly, for many they are the last images taken before being killed on battlefields. How the collection came to light nearly a century after the war ended is a tribute to the detective work of journalists and historians who pieced together information from photographs that were appearing throughout France. They then tracked down one of the Thuilliers’ descendants, Madame Henriette Crognier, who was still living in Vignacourt and knew where the collection was stored, in a secret location. She insisted the collection be taken back to Australia for restoration, “pour les Australiens!” [for the Australians!]. 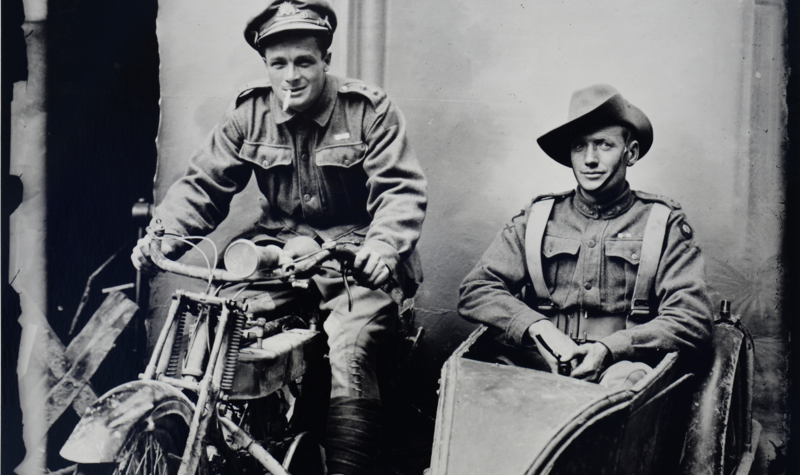 More than 800 of the negatives were donated to the Australian War Memorial by Western Australia businessman Kerry Stokes and the collection is now known as “The Lost Diggers of Vignacourt”. The photos have also been posted on The Lost Diggers website so Australians can identify their ancestors. Vignacourt is in the Somme department of Picardie in Northern France. The town is 16km north-west of Amiens. The Thuillier farm, now owned by the municipality of Vignacourt, is being converted into a museum and permanent home for the collection.